Now some of you (if you’re a man) might think that you don’t actually like pink! For me…pink is also not my favourite color, the simple reason is that I have red hair…can you imagine how I would look wearing pink! That’s okay, bear with me. They say pink is a color that does no harm, it is innocent, hence the connection with little girls. It is also a color of hope, it tries to please …pink want peace! Pink is the color of universal love. Pink is a quiet color. Lovers of beauty favor pink. A pink carnation means “I will never forget you”. Pink provides feelings of caring, tenderness, self-worth and love, acceptance. Put some pink in your life when you want to feel calm, relaxed or just be content. It can be youthful, fun, exciting, and some shades even have the same high energy as red. They are sensual and passionate without being too aggressive. The softer pinks are often associated with romance. It is the color of joy and happiness, and for women the attraction to pink can speak of a desire for the more carefree days of childhood. Having said all of the above, all I am asking is, “Give Pink a chance”. Pretty.. isn’t it?! I knew you would say yes! a) I’ve already mentioned number 1 above, the fact that I have red hair!! b) I have a very outgoing nature and love people on all levels of life. c) I am a perfectionist…I know ….a pain to some people. Lets just say I love things to be right and orderly!! e) I love to stay active, try to walk 7km every day. f) My first language is not English, I was born in South Africa, but now lives in Australia. 3. Pass the award along to 9* bloggers who you have recently discovered and who you think are fantastic for whatever reason! 1. http://dorazsays.wordpress.com – for having the most positive and wonderful attitude and putting a smile on my face every single day!! 3. Ilakya – She absolutely Rocks and is so very talented. 4. http://betweenhearts75.wordpress.com/ (April) When it comes to the most creative mind visions, she leaves me speechless every single time! 5. http://adkwriter15.wordpress.com/ I think this woman has so much talent and I know some days are crazy but hey, you have to give credit where credit is due…you ROCK girlfriend!! 6. http://yvettesblogs.com/ (Yvette)….My fellow ex Aussie blogger now living in Italy!! How I love what she does…for being always so very sweet to me and making the best food ever!! 7. http://lifeinarecipe.wordpress.com/ (Cindy) My Canadian girlfriend that writes recipes like a screenplay…I cant get enough!! 8. http://alleenloper.wordpress.com/ My South African friend currently living in Germany. Oh God..she is the Goddess of travel, daily writings and poetry! 9. http://musingbymoonlight.com/ (Jamie Dedes) I am her biggest fan and she writes some spine-chiling poetry and so much more!! So, ladies and gentleman, I hope you enjoy the award!! Keep up the good work, keep writing and keep Rocking!! To all reading this, thank you for your (much envied and appreciated) patience, and please check out these awesome writers!! This entry was posted on July 16, 2010 at 4:55 pm and is filed under Daily Life, Dreams, Emotions, Family, Friends, Life, Musings, People, Personal, Random, Reflections. You can follow any responses to this entry through the RSS 2.0 feed. You can leave a response, or trackback from your own site. More Buttercup, vanuit ‘n baie koue Johannesburg. Geluk met jou toekenning. Hoop jy’t ‘n lekker naweek. Dankie vir die besoek aan my blog. Yaaayyy!!! Congrats to you, and to all the wonderful poets/writers whom you’ve nominated!!! Wow, Amanda…that was real quick !!!! 🙂 And so beautifully done too! And thanks for those kind and sweet words for me… blush blush…blink blink.. I see what you mean when you say you are a perfectionist! YOU DEFINITELY DO THINGS RIGHT !!! Wow! Why me? 🙂 But after that invitation, how could I say no? Pink is, after all, a lighter shade of Red. Thank you Darling…I’ll be the lone Pink Cowboy. 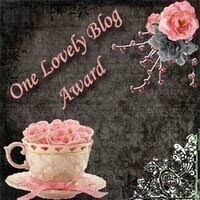 Thank you for mentioning all those wonderful blogs, I’ll make sure to check them out. Thank you for the award my friend, I’m delighted and honored, I have my thinking cap on! I’d love to share with you some of the things in my pink world! Congrats, Amanda! I like pink too, but not TOO much!! I never did the all pink bedroom thing. I guess there’s a bit of the tomboy in me. Love finding out those extra things about you! Pink does rock and so does purple! congrats on your award! WOW, that’s a lot of walking…I usually only do one mile, sometimes I’ll get it up to four, but that’s about it for me. A big smile and hug too. I have nominated you for this award as well, after receiving it from Kavita. I don’t know if you saw my thanks in reply to your comment on my blog. . . but I do thank you, Amanda, and I am honored and tickled. What a nice thing to do . . . Dear Lady! You are always full of surprises. And, congratulations to you. You certainly deserve it … How wonderful. I can’t wait to work on my own nominations. My responding post will go up Sunday. Exhausted now. xoxox You are the best! I think everyone who pours out their hearts deserves an award! Everyone who touches another persons life, deserves an award! And anyone who spreads the love and helps us feel more connected to each other deserves an award. Thank you for being all these things to me and to us. Congratulations! Many thanks friend! Sorry for the delay in responding but I have been up to my neck in wedding events and family socials! I am most honored and humbly accept your gift. Friends are like stars in the sky. In the darkest hours they shine bright to guide you by their light. Rising with the moon each night, giving strength and comfort at their sight. Sharing wishes and sharing dreams, friends are the stars of my night sky. Your star shines brightly in our universe! pink is also the colour of prison cells for the emotionally disturbed! !